Many houseplants can be grown from staples found among the produce of your very own refrigerator. Carrots, potatoes, pineapple and, of course, avocado all garner respectable houseplants. Interested? Let’s look at an avocado and see how to grow an avocado houseplant. You may be familiar with growing avocados in pots. In fact, it’s likely you took part in caring for avocados in containers. I know I did. Growing avocados in pots is often the first experience we have when learning about plant growth and where our food comes from. Many elementary school children have taken part in this process. If it’s been awhile, and especially if you have little ones of your own, it’s time to re-investigate how to grow an avocado indoors. First, gather the kids and/or your inner child because this is an easy and fun project for all of you. Get an avocado pit and suspend it in a glass of water using three to four toothpicks inserted halfway down the seed. This will dangle the pit half in and half out of the water. Place the seed flat end down in the water filled container. That’s it! It’s all coming back, isn’t it? If you want germination to speed up, remove the seed coat or cut off the top half inch of the pointed end of the seed before suspending it. This isn’t necessary, as most seeds easily germinate of their own accord. Place the pit in a sunny area and keep it half filled with water for a few weeks. Soon a small root will appear along with a tender shoot, emerging at the pointed end. When the stem completely emerges from the seed and a plentiful root system can be seen, you can plant it in well-drained potting soil in a container with a hole at the bottom. Caring for avocados in containers is just as easy. Keep the plant soil consistently moist but not over watered. 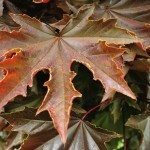 Over watering will cause the leaves to curl and the stem to soften — not a desirable trait. Don’t under water the avocado either or the foliage will wilt, dry and drop. Your avocado, as with most houseplants, will need to be fed. Fertilize the plant every three months with a small amount of water-soluble food to facilitate growth and healthy deep green foliage. You can move the avocado houseplant outdoors to a partially shaded area when the weather warms. If you want to encourage branching, cut the stem back 6-8 inches. The emergent branches should then be pinched once they are 6-8 inches long to promote additional branching. Remember, avocados come from trees so, in effect, you are growing a tree, although the plant takes a while to attain that height. Also, it is unlikely your tree will bear fruit and, if it does, it may not be very good and will take at least eight to 10 years to appear. 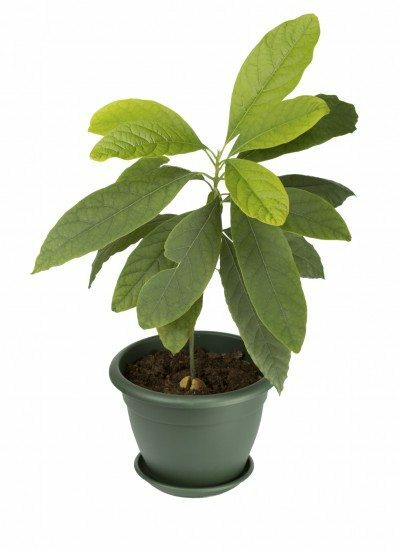 If you wish to grow an avocado for fruit, it is best to start from a grafted sapling procured from a nursery which will then produce fruit in two to three years. Nonetheless, this is a super fun project and so easy everyone can do it!